Thank you retailers and other associate members for your support of the Vermont Cheese Council! Become a fan of the Vermont Cheese Council on Facebook! Post a comment or a photo about your favorite Vermont cheese. Cheese makes a wonderful gift. 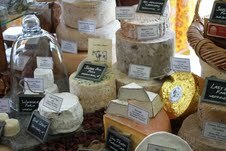 Many of our members sell their cheese through their web site. Visit our cheesemakers online. Thanks to everyone who participatied in the 4th Annual Vermont Cheesemakers Festival! With 1,750 tickets sold, the Coach Barn at Shelburne Farms was chock full of cheese, and the revelers took full advantage of this amazing opportunity to sample hundreds of delicious cheeses. As expected, everyone enjoyed the opportunity to rub elbows with the cheesemakers who make it all possible. Over 250 votes were cast in the People's Choice contest. Congratulations to Woodcock Farm! And Congratulations to Brian Werneke on casting the winning ballot that landed him 2 tickets to the 5th Annual VT Cheesemakers' Festival! The 5th Annual Vermont Cheesemakers' Festival is set for Sunday, July 21st 2013! Twelve VCC members took home 30 ribbons! Grafton Graham- with toasted sesame seeds. slightly sweet and salty at the same time this cracker pairs well with cheese. 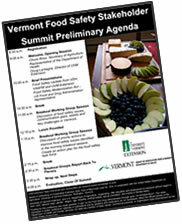 Food safety is an issue of growing importance everyone producing and consuming food, so several VT Cheese Council members took time to take part in the VT Food Safety Stakeholders Summit, held by the VT Department of Health; the VT Agency of Agriculture, Food and Markets; and UVM Extension. Read the Complete Summit Report and Agenda for this important step toward improving food safety from farm to plate in Vermont. Champlain Valley Creamery has finally moved! 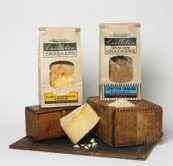 Their new location is 88 Mainelli Road, Suite 3, Middlebury VT. They’re still unpacking boxes and getting organized but they made their first batch of cheese in Middlebury on July 28. Plan your fall cheese tour! Download the pdf map today, or use our Google Map Plan your day, a weekend, or vacation! Find out who is open daily, who offers tours, and how to make an appointment for those smaller operations and those off the beaten path. Read the July/August 2012 issue of USDA's Rural Cooperatives magazine. To request a hard copy or for more information contact dan.campbell@wdc.usda.gov. 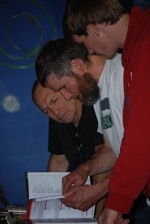 Artisan Cheesemaking Workshops in Westminster, Vermont. Two and three-day workshops in making and aging cheese, taught by Peter Dixon. Click here for more information & a complete list of workshops. Click here for more information and a complete list of classes. Drizzle olive oil onto two slices of bread, then flip over. Spread the whole grain mustard evenly on both sides of the bread. 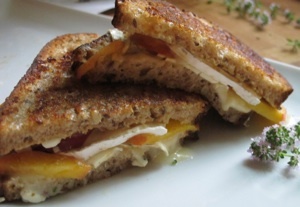 Layer thick slices of cheese on both slices of bread. Add peaches to one layer. Sprinkle with fresh thyme and pile together. Heat panini press, griddle, or grill pan to medium heat. When hot add sandwich, cook until golden brown on one side, then flip and cook on the other side. Slice and serve.